Reading is often an isolating experience. Perhaps that’s what you like about it? If you’re doing it right, your entire being is transported to another world for a few hundred pages. To share this experience with another person at the same time is to connect deeply with them. If you find yourself among a small group of people willing to explore a reality an author creates for you, then treasure that. A book club is designed to create these very circumstances. Very few people, even among avid readers, are actually involved in a book club. Some simply don’t know how to find a willing group of friends. I was in that exact spot a few years ago. I was reading all the time–partly for my job but mostly for pleasure. I wanted to connect with other minds and discuss ideas. Because we lived in a brand new town, I had the opportunity to design a book club that was entirely my vision. If you can’t find the right book club to join, then it’s up to you to start your own and make it an ideal book club for you. Here are some different aspects to consider as you think through that first meeting. If you are meeting with some church ladies, it might be hard to sell a critical reading of 50 Shades of Grey. Nonetheless, don’t limit your book choices to only Christian titles if you think discussing classics or contemporary titles will lead to an edifying conversation. Most plots boil down to good versus evil one way or another so consider enjoying a title that explores the human condition AND one that is considered good. If your friends are a little adventurous, you can get away with choosing some really weird books. Each time I start a new club, I choose a more conservative title that has a little more popular appeal. A few years ago, the first book I selected was Unbroken by Laura Hildebrand, and a few months ago when starting over in a new town with new friends, we read Z: A Novel of Zelda Fitzgerald by Therese Anne Fowler. I try to wait to get weird. Some of our best discussions have been of the weirdest books I’ve ever read, but if you choose a weird title right away, most of your friends won’t come back. One of my rules for book club is to never choose a book any of us have read before. This is why I respectfully ask that anyone considering attending be my friend on Goodreads. If I’m not able to get them on there, I’ll send a quick text to see if they’ve read the two or three titles I’m considering. It makes it tough to make the perfect choice every time, but I am committed to the learning and discovery that comes with reading widely and often. You might know your audience pretty well, but it’s also helpful to get a sense for how a book resonates with the rest of the reading community. Before choosing a title, I’ll probably skim at least 50 reviews on Goodreads and Amazon. I pay special attention to which (if any) friends on Goodreads have reviewed and rated it. I’ve watched my friends reading habits evolve over the years and consider their Goodreads reviews a pretty strong indicator of whether I will like a certain title. I typically look for language that indicates a transformation. If a book or an author made a reviewer look at the world differently, then it will be worthy of discussion. 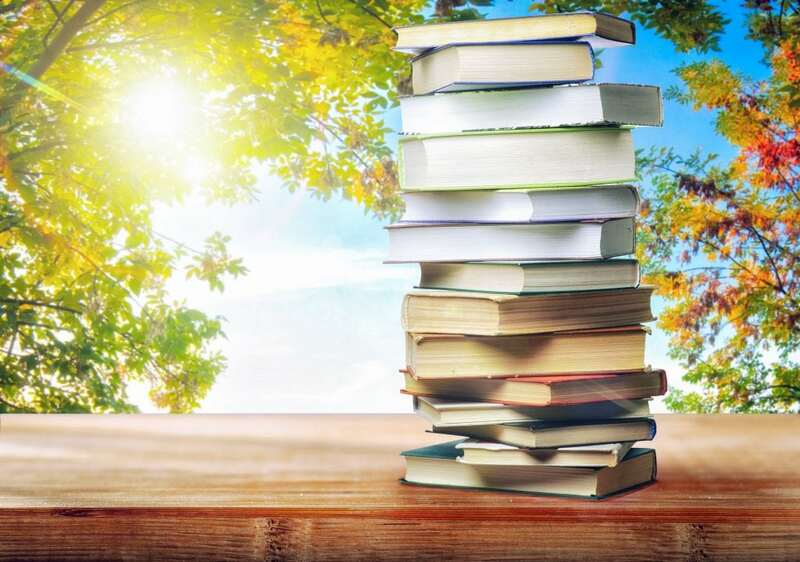 I will include some of the books I’ve read and enjoyed in a group at the end of this post, but that doesn’t mean they are right for your book club. Make sure you follow the previous steps to find the right fit for you and your book club. When book bloggers, publishers, or Buzzfeed make lists that tout the “100 best book club picks,” it’s rare that they’ve actually read every title on the list. It might be a classic, but it might make for a pretty bland reading or some pretty dry conversation. You remember high school, don’t you? That book you read was required because a committee somewhere decided it would teach age-appropriate concepts. Don’t do that to your book club. Know their interests and really try to cater to them with a choice that everyone might enjoy. Lower your expectations for any one book club. It will never be all things to all people, including yourself. You probably have a variety of reading tastes, but that doesn’t mean your friends are on board to read a ton of different books. If you enjoy different genres, then find an outlet for each. Maybe you want to read and discuss different theology texts with friends. If non-fiction is your thing, see if friends will want to read through some history texts or the best books on productivity. You might want to start reading through a great books list as you prepare to classically homeschool your kids. Or really, you might just want to escape into another world every other month and broaden your horizons this way. There is no reason you need the same group of people to do each of these with you. Conversation really is an art and it’s growing increasingly more lost. Reading stories increases one’s aptitude for empathy, or genuine human connection, but this is still limited. 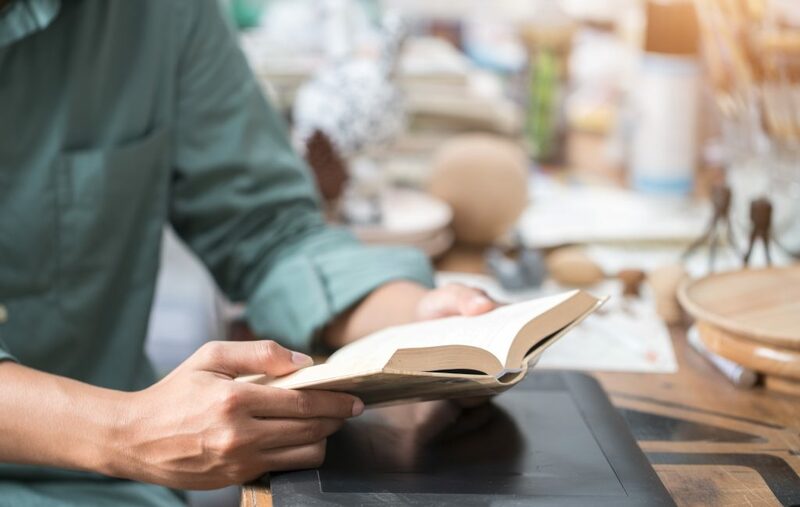 In her new book, Reclaiming Conversation, Sherry Turkle explains the importance of conversation: “Research supports what literature and philosophy have told us for a long time. The development of empathy needs face-to-face conversation. And it needs eye contact.” You are bringing people together for a few hours and asking them to look one another in the eyes. This is the beginning of connection. Here are some ideas to keep in mind as you invite friends to join you. Remember you are starting a book club. None of your friends or acquaintances know how transformative it is to discuss books and ideas with others. The first book club I hosted included men and women. We were in a new town, so I invited anyone from church I thought might be interested and anyone I met through my husband’s work. There is no such thing as the perfect social setting and you never know how people will relate to each other. There might be awkward moments, entirely different world views, and radically different book tastes. Just go for it. After about a year, I ended up kicking the guys out and inviting ladies only. This ended up being a great decision. This book club was made up of the most eager to read, supportive, and kind group of women and everyone really enjoyed being a part of our gatherings. After moving from California to Virginia a few months ago, I had to start over and invited every female I knew within a 45 mile radius. We’ll have our second meeting in January and I’ve made a couple new friends and put out new invites. Don’t hold back when you meet someone new. You never know who will thrive in a book club setting. A friend of mine named the first book club I was a part of, “Yoga Pants Book Club.” It was mostly made up of military spouses. We all worked and only a couple of women had kids at the time. Life was busy and that made it hard to add one more event to your social calendar and we wanted to make it easy on women to get out the door and just show up. Guests didn’t have to wear yoga pants, but it was absolutely fine if they did. The idea was to come as you are. There is no reason to get fancy and it’s a judgment-free zone. Setting this tone from the very beginning helps guests relax, especially when getting together with other women. It’s common knowledge that everyone always gathers in the kitchen at almost any social event. Food connects people. I’m not very creative when it comes to food, but my guests blow me away every time we get together. All I do is add the following line to the book club invite: “Please bring a dish to share. It’s always fun if it relates to the book in some way.” It’s not about how fancy a dish is but how creatively it relates to what we’ve read. When we read Unbroken by Laura Hildebrand, a book about an American pilot surviving a Japanese internment camp, my friend made rice balls because that is what Louie survived on for months. When we read Fight Club by Chuck Palahniuk, my friend brought orange juice because it is combined with gasoline to make napalm in the book. Another friend made her family’s borsch recipe when we read the Fyodor Dostoevsky’s Russian novel, Notes From Underground. When we read The Book Thief by Markus Zusak which is set in Germany during World War II, a friend made German chocolate cake. Creativity with food is limitless and some of your guests will really enjoy getting creative with it. I get it: reading is a lost art and people are busy. It’s hard to find time to read, but if your guests decide they want to be a part of book club, they can figure out how to manage their time. There is this people-pleasing tendency in all of us that wants to make people feel comfortable. If you start to tell people “it’s okay if you didn’t read, come anyway,” then you will most likely have only a few people who read the book each time. It sets the tone for book club. For the rest of the non-read crowd, you’ll be explaining the book and trying to help them understand it. What’s more, they probably don’t care because if they didn’t take the time to read it before book club, they probably won’t take the time to read it after. It will be increasingly difficult to actually discuss the book if you spend the majority of the time giving a book report to the guests who didn’t read. I say this, too, because I’ve had friends agree to come but tell me they aren’t readers, or they don’t read fiction, or something else, but that they’d love to come hang out. That’s great! Let’s find another day and have coffee or go for a walk together. If you don’t want to read with friends, then this is not the social gathering for you. My friends and I are going to nerd-out for a few hours over this really bizarre book, so if that doesn’t sound like something you want to be a part of, no big deal. On the flip side, be sure to encourage your guests at the last-minute, “It’s okay if you didn’t finish.” If a sincere effort is made to read, then by all means, show up and lets talk about our reading experiences. Life happens and we are all busy. You want people to come as they are, remember? Make them feel comfortable if they didn’t finish but never give permission to not read at all. Before moving forward, think about why you are venturing outside of your comfort zone to start a book club in the first place. It helps to really decide what your goals for your book club are. We have young kids and our family is very committed to routine. Any time we deviate from this, it throws our whole world off for a couple of days. I am committed to the chaos that follows book club because I know it’s worth it to connect with friends in this way. It feeds my soul like nothing else. My husband is supportive of this and committed to being home on time, helping me get our house ready for friends, and takes care of our little one who is used to having us both put him to bed. It’s not always perfect, but we all know why this is so important to me and so it becomes important to us as a family. So what is your why? As you think through that, here are some tips to keep in mind as the host of your first book club. Social gatherings are really hard for some people to pull together. Just because you are excited about reading with your friends does not mean you have the gift of hospitality. I’m right there with you and that’s okay. You can still host a mind-blowing book club, but don’t pretend to have it all together. I am no pioneer woman and rarely make anything from scratch. I have a really sweet friend who tells me I can call anything I make from a box “half-homemade.” If you throw together a half-homemade dessert and pop open a couple of bottles of wine, then you and your friends are in for a good time. I do recommend a large pitcher of water because hopefully everyone will be chatting incessantly and need to quench their thirst. every three months. The timing for each of those scenarios fits my reading personality because I read far less fiction than I do nonfiction. However you choose to structure your book club, try to stick to it so you can set the expectation for people. Don’t hesitate to meet more often because you don’t think people will read. People want to be challenged and will rise to the expectations you set. If the text is dense and you expect people will need a lot of guidance and accountability, then meeting more often is definitely the way to go. Whatever you decide, make sure you can handle the reading load and leading the discussion. Not every guest will finish the book, and you want to be able to fill in the gaps and help steer conversation. If you choose to meet once every couple of months, give people notice as far in advance as possible. With smaller book clubs, I typically touch base with everyone the week that it is scheduled to see how they are doing with reading the book. Some will have finished weeks ago and some will need more time. If you can push it back a week and everyone can still come, go for it. That kind of flexibility will only help the conversation at the event. I want everyone to come to the conversation ready to talk through the whole book and not have to worry about spoiling it for anyone who hasn’t finished it yet. Try your hardest not to talk about the book with your friends before your actual book club. I like when all of us keep our reading experience to ourselves and our emotional response to the book is bubbling up within us and ready to explode. I genuinely want to know what my friends think of the book, which parts resonated with them, and what they thought of the more intense scenes. If I find out all of this before we actually meet for book club, then a little magic is lost during the book club conversation. Remember how C.S. Lewis said, “Friendship is born at that moment when one man says to another, “What! You too? I thought that no one but myself…”? If want your book club to blow minds, then you want these moments to happen in conversation together. What is fun is that books bond you and your friends for the rest of your lives. You might not talk about a book prior to the book club event, but you and your friends will reference it for the rest of time. That’s the power of a good book. 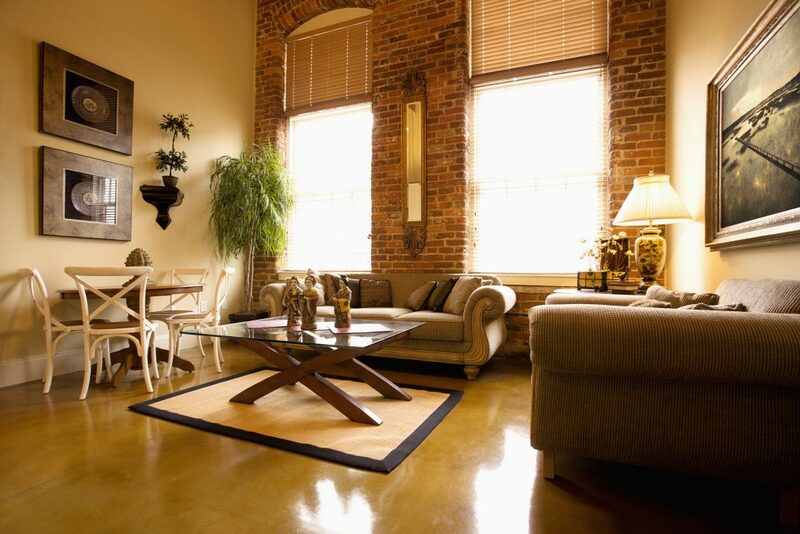 Location is important because you want to make sure your guests are comfortable. A home setting is often the most relaxed, but I’ve met with friends at crowded coffee shops and even in church buildings. It’s tough to control the volume of the music at the coffee shop or the decibel of a screaming child. 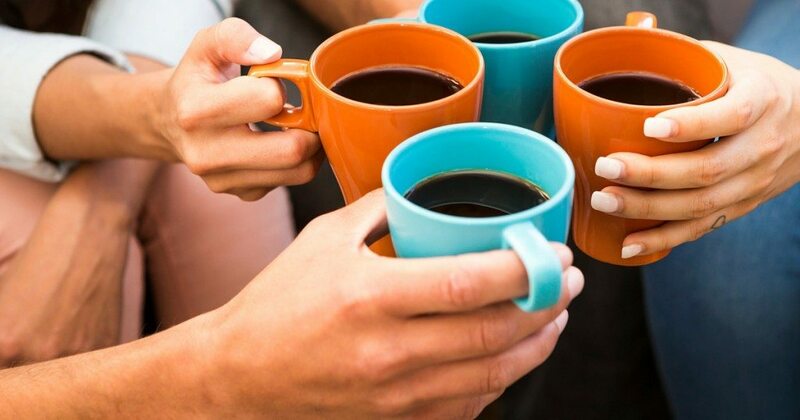 Nonetheless, if you don’t know your guests that well, it can be more comfortable for them to show up at a coffee shop instead of in your home. If you decide to host in your home, you can add a little magic to the ambience, even if you don’t have the gift of hospitality. You don’t want your guests to shout over loud music, but some constant low music in the background tends to comfort people. I try to find a Pandora station that relates to the book in some way. Did you know Pandora actually has a station titled, “Fight Club Radio”? Reading a book activates your visual cortex where you imagine a whole other world. You enter into that world by tasting food from the book, which continues to solidify your experience. The final touch is to transport your friends to that world by playing music that connects to that moment in time. 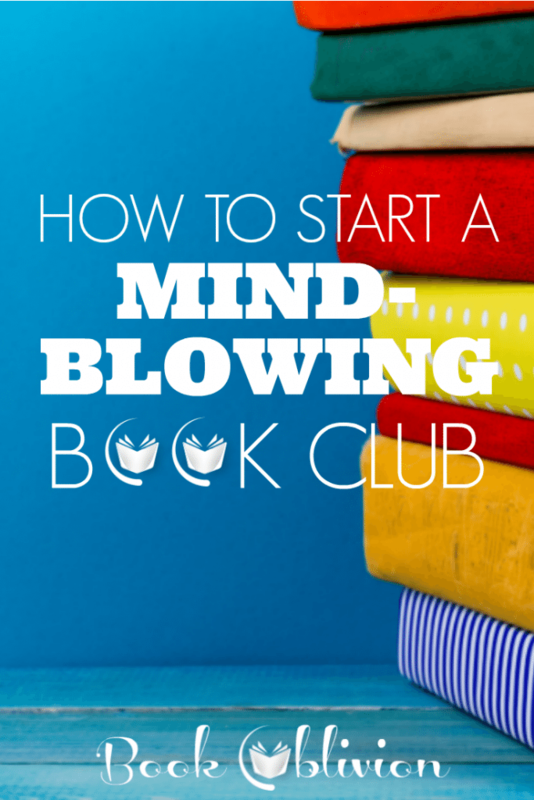 Any time you can add a dimension to book club, it will add to the mind-blowing experience you are looking to create. While decorations can be festive, there is no reason to go over the top. If you can add a bouquet of fresh flowers in the spring or a couple of pumpkins in the fall, you’ll be good to go. One of my favorite book club gatherings was on my back porch on a warm summer evening in the Southern California desert. I strung some white twinkle lights up and this created more than enough ambience to propel a dynamic and engaging conversation. Your Christmas tree is plenty festive during the Winter months. A tea light candle or two goes a long way to create a feeling of comfort and warmth. Simply put, you don’t need much. If you are comfortable, then your guests will be comfortable. Welcome to Book Oblivion’s Online Book Club, a free group hosted by Jessica S. Manuel. 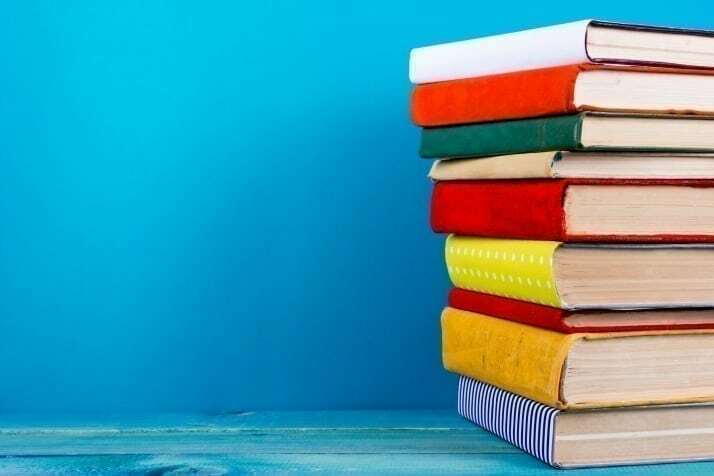 If you’re not on Facebook, you can also join our newsletter to get Book Club news, find out about reading groups, and new online courses. If you’d like to follow my reading habits on Goodreads, you can click HERE. Happy reading and definitely let me know if you have any questions or tips for me! We just did the same! Everyone you meet has potential. It only takes a couple of people to build momentum. Best of luck to you! These are some really great tips! Reading has always been a love of mine and it sounds so silly that I’ve never been a part of a book club and didn’t stop to think, you know, I should start my own 🙂 You’ve given me alot of think about. This is such perfect timing. I would love to be part of a book club but there aren’t many around that I know of so this is a great idea and great tips. It’s getting to the colder weather too so perfect curling up and reading a book weather! I’m so glad! I hope you can find the right people. It only takes a few, but if you can get up to 5 or 6 enthusiastic readers, it’ll be the perfect size (in my opinion 🙂 ). I promise you will never look back! Do you have any tips for developing good questions to engage book conversation? I feel like we end up just chatting about life after a few minutes of talking about the book! My best tip on that front is to write them ahead of time. I usually have between 15-20 questions and we only ever get to half of them, but it helps drive the conversation. We end up talking about the book from various angles. When writing questions, start broad and talk about themes that emerge in the story or chapters for non-fiction. If it is non-fiction, you can analyze the organization of the argument. Next you can talk about the cultural moment. What does the work say about society and culture in the time it was written? Then try to narrow in on the different motivations of main characters. What do you know about their background? How do they make decisions? That kind of thing. And follow up questions can always relate to whether your book club members would make the same decision, etc. Depending on when the book was written will often dictate the answers. Before busting out the questions, I always go around and ask everyone simply if they liked it. Everyone has a chance to share their initial reactions and we can get an idea if it made anyone uncomfortable, etc. I hope that helps! It should at least get you started. We used to have a neighborhood book club, but everyone just go so busy. These are great tips though, I may try to start it up again! There you go! Happy reading! What a great way to connect with your neighbors! I’ve always wanted to be a part of a book club. I get involved with the characters and I would like to hear other people’s persceptive on it. Great points! Such great info! I have never been a part of a book club, but it sounds like fun! Thank you for these tips! 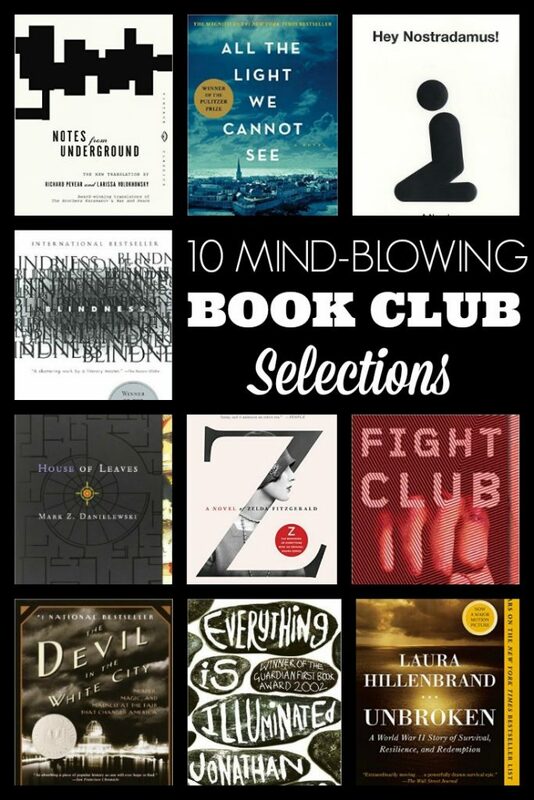 I’ve wanted to begin a book club for the longest time, and I’m finally doing it this year! I’ll definitely be checking your blog out more! Good luck, Marla! I hope you enjoy the rewards of dynamic conversation.